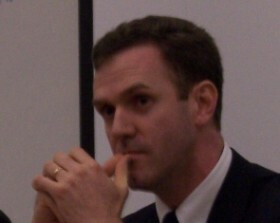 Dr. Sam Gregg is Director of Research at The Acton Insititute. Adam Smith had it basically right when he described the essential pre-conditions for widespread economic prosperity. But if the current financial upheaval teaches us anything, it should be how much market capitalism depends upon most people developing and adhering to some rather uncontroversial moral virtues. Smith himself always understood this, which is why his Wealth of Nations of 1776 should always be read in light of his 1759 treatise, The Theory of Moral Sentiments. It seems, however, unlikely at this point that this will be one of the lessons learnt when the current financial crisis has been relegated to the pages of history. While we have heard much mention of the impact of greed on Wall St and in other financial centers around the world, it is comparatively rare to find any analysis that takes the moral dimension of the credit crisis especially seriously. There have of course been interventions from figures such as the Anglican Archbishops of Canterbury and York. They do have a responsibility to offer informed moral reflection on the events of the day as well as those questions that will continue to haunt human consciences until the end of days. Unfortunately their remarks on the current crisis tend to reflect an ignorance of how particular financial devices, such as interest-rates and short-selling, actually work. To this extent, their comments, I fear, have actually hindered sound moral analysis insofar as they have focused attention on areas rather marginal to the economic and moral dimensions of the financial crisis. It is now over one year since the credit crunch began wreaking havoc throughout the global economy. Never before, it seems, have we been so aware of how dependent our economies are upon the willingness to lend and borrow. Since August 2007, we have seen numerous banks and financial houses enter bankruptcy. The Federal Reserve has assumed an 80% stake in America’s biggest insurance company. Freddie Mac and Fannie Mae have been taken over by the US government. Financial institutions in America and Europe have written off billions in losses. In Europe and America, governments are poised to take large stakes in banks unprecedented in history. In human terms, over 100,000 financial-sector jobs across the world have been eliminated. People’s careers have been shattered. Everyone is asking: ‘Who’s next?’. There has been no shortage of analyses attempting to study the crisis in strictly economic terms. Phrases such as ‘overexposure to high-risk investments,’ ‘suspension of withdrawals from funds invested in illiquid credit securities,’ and ‘margin-calls forcing hedge funds to liquidate good assets’ dominate the discussion. All these and other expressions have real meaning and accurately describe elements at work in the economic storm that has wrecked such havoc. Unfortunately the language of these commentaries sometimes distracts our attention from the human dimension involved. Like other elements of the market, financial businesses do not consist of faceless entities, anonymous group-dynamics, or even ‘the gnomes of Zurich’ (as anti-Semites and conspiracy theorists imagine). Real human beings, actions, and choices are at the heart of the world’s bourses: that is, real people who create wealth, respond to incentives, make honest mistakes, and sometimes behave irresponsibly, even immorally. This evening, I would like to take some of your time to think through where we might say with some confidence that moral lapses, both in choices and character, have contributed to the credit crisis. My comments assume, of course, that there is moral good and evil; that it can be known to people through – among other means – their use of right reason; and that human beings and human institutions can make free choices and therefore are indeed masters of their destinies. These assumptions, I might add, may seem uncontroversial to you, but I can assure you that they are vigorously disputed by perhaps even a majority of Western intellectuals today. In part, this flows from the soft and hard relativism that dominates much elite and popular opinion. But it also owes something, I would argue, to the tendency of many post-Keynesian schools of economics to focus on macro-economic aggregates and to downgrade the importance of complex human beings who do not always choose morally and rationally when it comes to making economic choices. As you know, there is no one single cause that explains the financial meltdown. Some of the candidates include loose monetary policy by the Federal Reserve, massive bank overleveraging, and the American subprime-mortgage implosion, not to mention the social-engineering programs pursued by the government-sponsored, New Deal-esque behemoths Fannie Mae and Freddie Mac. This evening, however, I am going to focus on two aspects of the problem that underline some of the moral causes driving the crisis: first, monetary policy and mortgages; and second, failures in the securities-ratings industry. I will then conclude with some remarks about how the credit crunch may teach us, whether we like it or not, that the very practice of lending and accepting credit is highly dependent on some very basic, uncontroversial moral habits. Before looking at these matters, however, I want to specify the primary ethical lens that I will be using to explore these issues. One of my working assumptions is that whether it was borrowers lying in their loan applications, or lenders neglecting to do the most basic due diligence, or political pressures being brought to lend money to people manifestly unable to make their payments, or securities ratings agencies becoming mired in conflicts of interests, many of these sins constitute failures in prudence1.The ancient Greeks as well as Christian medieval philosophers, especially Thomas Aquinas, viewed prudence as the cause and measure of all virtues. They understood prudence to be the auriga virtutum: the charioteer of the virtues. Prudence is the cause in the sense that the virtues, understood as the ‘perfected ability’ of individuals as persons (i.e., creatures with intelligence and free will) can only be realised when they are founded upon prudence; that is to say, upon the perfected ability to make right decisions. An individual, for example, can only live the virtue of temperance when he has acquired the habit of deciding correctly the actions to take in order to master his instinctual cravings. Prudence is considered the measure of moral virtues insofar as it provides a model of ethically good actions. A market trader, for example, draws upon his experience and all the data available to him at a given moment and decides that it is beneficial to sell stock A at 5.00pm tomorrow and buy stock B today. The content of the decision (e.g., the stock, amount, time and means) is the product of an act of prudence. The actual carrying out of the decision may involve other virtues like fortitude (doing it in spite of the risk) and justice (doing his job properly because it is what he owes in justice to his company and his family). Intelligentia: an understanding of first principles, such as ‘don’t steal’. Docilitas: this is a kind of open-mindedness which recognises the true variety of situations to be experienced, which does not limit itself to accepted or popular wisdom, and which involves a willingness to make use of the experience of others to make prudent decisions. This might also be understood as humility. Caution: the willingness to take risks while mitigating the same risks as far as possible. Discursive reasoning: the willingness to research and compare alternative possibilities. Foresight: the ability to estimate whether a particular action will lead to the realisation of our goal. Memoria: an accurate memory in the sense of memory that is true to reality. Shrewdness: the capacity to judge a situation by oneself and quickly. Circumspection: the ability to take all relevant circumstances into account without becoming paralysed by indecision. When we think about these parts of the virtue of prudence, I think that you may begin to see its relevance to our subject this evening. Without gradually acquiring most or all of these qualities, it is arguable that someone working in the world of finance will either not last very long or will continue to make some very bad decisions. The very same qualities are surely essential if one is going to be a successful central banker, precisely because monetary policy is surely one of the most inexact sciences in the world. Most people know that the credit crisis is directly related to the collapse of the housing bubble in the United States. Most also know that the collapse owed a great deal to the massive growth in the subprime mortgage industry which began unraveling as early as mid-2006. Some people, however, have not made the connection to monetary policy. There is little doubt that the Federal Reserve contributed to the bubble in house prices by lowering interest rates earlier in the decade and keeping them low. This lowering occurred primarily to diminish the impact of the collapse of the dot-com bubble in late 1999. From 2000 to 2003, the Federal Reserve lowered the federal funds rate target from 6.5% to 1.0%. It believed that interest rates could be lowered safely because the inflation rate was low. The problem, however, was that the Federal Reserve’s inflation figures were flawed. It is often said that good central bankers know to be skeptical of data and to keep questioning it, if only to force economists to keep verifying it. But because they failed to do so, the Federal Reserve kept interest-rates low for far too long, thereby allowing a flood of cheap money to enter the market, much of which went into the housing boom. This was not simply policy-misjudgment in the sense that much monetary policy seems dominated today by the imperative of avoiding recessions at all costs, regardless of the fact that recessions are sometimes necessary to correct imbalances of equilibrium and to allow resources to be invested more efficiently. It also represents, I submit, profound failures of foresight, caution, humility, and discursive reasoning on the Federal Reserve’s part. Similar failures are also apparent among other players in the mortgage fiasco, most notably those selling and buying mortgages, as well as politicians determined to defend the indefensible lending policies of Fannie Mae and Freddie Mac. There is a common assumption that the housing market’s collapse flowed from sub-prime lending to people who simply could not afford to pay back the high-interest loans. There is some truth to this. But it does not account for the fact that a good amount of sub-prime lending went to relatively well-off people hoping to make a killing in the American housing boom that, to their misfortune, began imploding last year. Not only did some of these individuals unreasonably assume that house-prices could only continue to rise at an unsustainable annual rate of almost 11%. A good number of them also violated some basic elements of prudence. An early 2008 BasePoint Analytics report states, for example, that almost 70% of mortgage early-payment defaulters made fraudulent misrepresentations on their original loan applications – that is, they lied about factors such as their income, assets, and liabilities. In other words, a good number of commercial arrangements, many of which were used as the foundation for an increasing number of securities and equities, were based on untruths about assets and untruths about persons. Unfortunately, many banks and other lenders neglected to do even the most rudimentary checks on some lenders’ applications, thus violating a basic duty of justice that they owed to their shareholders. Sometimes this resulted from their interest in creating as many mortgages as possible in order to consolidate them into mortgage-based securities and then sell them off to investment banks and hedge funds. On other occasions, however, it was a direct result of legislation – such as the now infamous 1995 Community Reinvestment Act, which compelled banks to make credit available to low-to-moderate-income consumers. CRA-influenced loans do not in themselves seem to have resulted in a high rate of defaults, perhaps because they only constituted about a quarter of all subprime loans. They did, however, contribute to a weakening of lending standards throughout the American economy – a weakening encouraged and abetted by activist groups, not to mention American congressmen and senators determined to increase home-ownership, regardless of people’s financial situations, and over and against market-rates of interest. The problem was compounded when Fannie Mae and Freddie Mac begin easing the credit requirements on loans that it purchases from banks and other lenders. In 1999, Fannie Mae began a pilot program involving 24 banks in 15 markets – including the New York metropolitan region – to encourage these banks to extend home mortgages to individuals whose credit was generally not good enough to qualify for conventional loans. Fannie Mae, America’s biggest underwriter of home mortgages, did not lend money directly to consumers. Instead, it purchased loans that banks make on what is called the secondary market. By expanding the type of loans that it bought, Fannie Mae hoped to spur banks to make more loans to people with less-than-stellar credit ratings. While Fannie Mae executives stressed that the new mortgages would be extended to all potential borrowers who could qualify, they added that the move was intended in part to increase the number of minority and low income home owners who tend to have worse credit ratings. The irony, of course, was that home ownership had already grown significantly among minorities during the 1990s economic boom. The number of mortgages extended to Hispanic applicants jumped by 87.2% between 1993 and 1998. During that same period, the number of African Americans who secured mortgages to buy homes increased by 71.9% and the number of Asian Americans by 46.3%. Increasing home ownership among these groups, it seemed, needed only economic prosperity rather than the easy-credit policies associated with the CRA or Fannie and Freddie. But further complicating the problem was the fact that the Community Reinvestment Act provided Fannie Mae and Freddie Mac executives with the legislative leverage they needed to raise their own subprime lending quotas, the mortgages of which they then used as a basis for their own securities marketed through Fannie and Freddie’s own hedge fund. This gave Fannie and Freddie a vested interest in preventing the many attempts at controlling their lending policies made by successive treasury secretaries from 2000 onwards. By the end of 2000, subprime loans accounted for almost half of Fannies and Freddie’s total business. This may also explain the millions of campaign donations made by Fannie and Freddie executives to those politicians on the House and Senate banking committees willing to protect Fannie and Freddie – which were, after all, government-sponsored enterprises – from those determined to rein in lending policies that were, as we know now, out of control. So what moral failures are involved in the overall subprime fiasco? Once again, it would appear that several elements of prudence were violated. First principles such as ‘don’t lie’ were systematically violated by thousands of subprime lenders. Caution was also thrown overboard in the name of easy profit and the desire to subordinate long-established lending precautions and the workings of market exchange to the demands of politically-driven mortgage-lending. A certain detachment from economic reality also featured, most notably in false and in some instances arrogant expectations about the on-going profitability of investments in property. It is also clear that shrewdness, in the sense of being able to judge accurately economic realities for themselves, was absent from the calculations of many borrowers, lenders, and Congressional politicians. Outside the immediate realm of prudence, grave violations of justice – in the sense of what banks and financial institutions owe to their owners and investors – also occurred, most notably in their failure to do due diligence on potential and established borrowers. The virtue of temperance was also largely forgotten. The thrifty, even parsimonious Adam Smith would have been appalled by the ‘I-want-it-all-now’ mentality that has helped the personal savings-rate in America to hover around 0 percent since 2005 – the lowest rate since the Depression years of 1932 and 1933. It is arguable that the same mindset encouraged many on ‘Wall Street’, anxious to enhance their bonus prospects, to sell securities they knew were based on collapsing subprime foundations to ‘Main Street’ buyers who themselves were blinded by the prospects of quick profits. Of course such actions are not illegal. I am also skeptical about trying to prevent them through regulation. As Johan Norberg observes, ‘regulation … is always a response to the last crisis. Generals fight the last war and always try to avoid the mistakes made then. So we get new rules that target the mistakes that everybody already knows they must avoid. The next possible crisis and its causes are so far unknown, and our regulations may have no effect or even make them worse2.’ Norberg’s claim is, I believe, substantially correct. No-one, however, seems anxious to defend the morality of some of the choices made on Wall St, Main St, and in Washington DC that contributed to the subprime mortgage meltdown that contributed to the credit crisis. As mentioned, the first signs of a meltdown in the subprime mortgage market occurred in late 2006. It was not, however, until late August 2007 – that is, eight months later – that greater awareness of the subprime problem became more widely known in the world’s financial centers. This is curious, because one of the services of securities ratings agencies – firms such as Moodys, Standard & Poors, and Fitch Ratings – is to provide investors with early warning when there are significant problems with a security or equity package. But here too, it seems, imprudent behaviour contributed to the failure of some rating agencies to provide timely and accurate insight into what was going on. Many of these agencies, it seems, apparently acquiesced in conflict-of-interest situations. As is well-known, rating agencies derive their income from rating bonds and other securities issued by financial institutions. They do so by assigning an investment with a score, such as an AA or – even better – Moody’s highest score of AAA, thereby providing actual and potential investors with some sense of an investment’s creditworthiness – be it good or bad. A bad rating usually indicates that there is a high risk of default. Given that rating agencies are paid by the issuers of bonds and securities they rate, it has often been suggested that this leads to conflicts of interests. Rating agencies deny this. They point out that they are open about the fact that they are paid by the financial institutions issuing the bonds and securities they rate. They also argue that their ratings are not compromised by that relationship, precisely because to do so would undermine their reputation as honest and accurate assessors. Lastly, they point out that the analysts working at rating agencies are not compensated on the basis of the level of ratings that they assign to different bonds and securities. The subprime fiasco, however, raises significant questions about the accuracy of this picture. Since 1995, increasing numbers of asset-based securities that used American subprime mortgages as collateral were purchased in unprecedented numbers by individuals and institutional investors. These securities were in turn consolidated into collateralised-debt obligations (CDOs) and collateralised-loan obligations (CLOs). The risks associated with different CDOs and CLOs are assessed by securities-ratings agencies. It is one of their most profitable activities. The problem, however, is that many financial institutions – knowing that ratings help determine the value of CDOs and CLOs – began approaching rating agencies some years ago to ask their advice on how to structure CDOs and CLOs in order to maximise their value. But when the subprime mortgage market on which many CDOs/CLOs were built began imploding, some ratings agencies were slow to concede something was wrong. Some ratings agencies did start putting out warning signs as early as mid-2006. Yet they did not significantly downgrade their ratings of the very same investments. A common claim by some ratings agencies is that they were afraid that significant downgradings would further undermine already weakening capital markets. There is no reason not to take this claim at face-value. But it may also be true that many ratings agencies, fully aware that many investors know how deeply such agencies had been involved in structuring these securities, may have themselves become conscious that their objectivity – i.e., their primary asset – would be called into question. Of course the very moment that ratings agencies were asked to become involved in the structuring of the assets they were supposed to be assessing, their moral antennae should have begun quivering. It is very difficult to provide objective assessment of risks associated with particular securities when you have helped structure the very same securities. This, however, did not deter some ratings agencies from involving themselves in structuring CDOs and CLOs based on subprime-based securities. This is not to suggest that rating agencies were somehow engaged in sordid financial swindles. The point is that when ratings agencies were asked by banks to become involved in structuring CDOs and CLOs, they should have said: ‘No. That would compromise our capacity to objectively assess the risks associated with your securities. Our objectivity is our greatest asset. It can lend value to your assets. But only if our assessments remain objective and detached.’ The fact that some ratings agencies did otherwise suggests, I submit, significant failures of judgement and character on their part. In terms of the virtue of prudence, it reflects a major absence of the quality of foresight, in the sense that it was reasonable that any relatively clear thinking person, especially those with enormous experience of the securities-ratings business, should have recognised what was likely to eventuate from this type of activity. To address these problems with securities-ratings agencies, it does appear that the American Congress, the UK Parliament, and the European Union will introduce legislation to try to prevent such conflicts of interests from happening again. Once again, however, I am skeptical that this will achieve very much, and, in the case of the Sarbanes-Oxley Act, are likely to have unforeseen negative consequences. What, however, has not been highlighted is the fact that markets have already disciplined securities-ratings agencies – sometimes severely. The value of stock in many such agencies has plunged by more than 40% in some cases. This indicates that, whatever might be the agencies’ protests to the contrary, they are going to have to work hard to regain the markets’ confidence in their basic prudence and trustworthiness. Much more could be said about the moral problems contributing to the financial crisis, but I would like to conclude by offering some reflections on the institution and practice of credit itself. In the current financial environment, considerable anger has been directed against those who specialise in the credit business, especially subprime-lending, be it of mortgages or credit-cards. No doubt, some predatory lending has occurred. We need only pick up the nearest newspaper to read about elderly couples on the brink of bankruptcy because they signed mortgage agreements that they either did not understand or were never adequately explained to them by their financial advisors. But why, some argue, should subprime-lending businesses exist in the first place? Are they not financial traps for the poor and vulnerable? Don’t they discourage prudent saving? There have even been calls for official caps on interest-rates offered by private lenders. The difficulty with some of these critiques is that they often reflect fundamental misunderstandings of the nature of credit and its underlying moral apparatus. Credit is about lending others the financial means – the capital – that most of us need at some point of our lives. Whether it is starting a business or buying a house, most people need capital. This means someone else such as a bank or a private lender has to be willing to take a risk. They do stand to profit if the mortgage is paid off or the business succeeds. But they also lose if a house is foreclosed or a business goes bankrupt. Charging interest is how lenders maintain their loan’s value and make a profit (the margins of which are much narrower than most people realise), thereby increasing the sum-total of capital available in a society. But it is also their way of calibrating risk: the higher the risk, the higher the interest-rate in order to compensate for the greater possibility of loss. It follows that if interest-rate ceilings were imposed by government fiat, lenders would effectively be prohibited from charging interest-rates commensurate to the risks involved. Hence, they would be unlikely to lend capital to entrepreneurs and businesses pursuing high-risk endeavors. Many risky but wealth-creating and employment-generating activities would thus simply never occur. Legislated interest-rate ceilings would also mean that some poor people would never have the chance to acquire the capital they might need, for example, to go to university, let alone begin developing a credit-record. Entire categories of people – recent immigrants, the urban poor – could be condemned to life on the margins. But at a deeper level, we also forget that while credit is about capital, it is ultimately about something more intangible but nonetheless real. The word ‘credit’ is derived from credere – the Latin verb for ‘to believe’ but also ‘to trust’. Thus, whether it is a matter of giving someone a credit-card for the first time, or extending a small business the capital that it needs to grow into a great enterprise, providing people with credit means that you trust and believe in them enough to take a risk on their insight, reliability, honesty, prudence, thrift, courage and enterprise: in short, the moral habits without which wealth-creation cannot occur. A moment’s thought about credit thus reminds us how much market capitalism, so often viewed as materialistic, relies deeply upon a web of moral qualities and non-material relationships. As the credit crunch has taught us, once these are corrupted, whether by basic dishonesty, excessive regulation, or political manipulation, the wheels of wealth-creation splutter and eventually grind to a halt. Businesses die; people lose their jobs; and families suffer. Make no mistake: the modern case for the free market – so painstakingly developed against interventionists of all stripes since Adam Smith’s time – has been set back years by the disarray on financial markets. The very same calamity, however, should remind everyone – including those who favour free markets – that loosening the political bonds imposed on economic liberty requires society’s moral bonds to be constantly renewed and strengthened. In short, we are learning the hard way that virtues like prudence, temperance, thrift, promise-keeping, honesty, and humility – not to mention a willingness not to do to others what we wouldn’t want them to do to us – cannot be optional extras in communities that value economic freedom. If markets are going to work and appropriate limits on government power to be maintained, then society requires substantial reserves of moral capital. With so many people’s economic well-being now partly determined by decisions of those working in financial industries, sound moral character in their employees and directors should be a premium asset sought by any bank or financial house. Virtue is, of course, good in itself, and ought to be pursued for the sake of human flourishing rather than as simply a question of economic efficiency. But this does not mean we should close our eyes to the very real economic benefits that can flow from large numbers of people embracing the virtues. It would be a culture-changing exercise. In the end, no amount of regulation – heavy or light – can substitute for the type of character formation that is supposed to occur in families, schools, churches, and synagogues. These are the institutions (rather than ethics-auditors and business-ethics courses) which Adam Smith identified as primarily responsible for helping people develop what he called the ‘moral sense’ that causes us to know instinctively when particular courses of action are imprudent or simply wrong – regardless of whether we are Wall St bankers or humble actuaries working at securities-rating agencies. At the end of his life, Adam Smith added an entirely new section entitled, ‘Of the Character of Virtue’, to the sixth and final edition of his Theory of Moral Sentiments. His reasons for doing so are much debated. But perhaps Smith decided that as he glimpsed a world in which the spread of free markets was already beginning to diminish poverty, he needed to re-emphasise the importance of sound moral habits for societies that aspired to be both commercial and civilised. This surely is advice worth heeding today. I can see tonight that I am standing in front of a crowd of about 100 business school students, most between the ages of 20-30. How many of you read the Financial Times every day? [Show of hands.] Only about a quarter. That is surprisingly low. You have to understand that we are living in historic times. For the past year, you have witnessed and have been living through probably the biggest disruption in financial markets the world has ever seen. This week I attended a presentation at Barclays by our CEO, who said that never before in his long career had he ever seen anything like it. I asked you about the Financial Times because over the past few months, almost every single front page of the FT can be kept for future generations as an artefact, as history being made; every morning paper offers a new chapter in this remarkable story of the first major financial crisis of the global age. It is a shocking reality that you would be better off today if you had kept your cash savings under a pillow over the past 10 years rather than invested it in equities. It is a shocking reality that Japanese investors who bought the Nikkei index in 1982 – 26 years ago – would not have made any capital gains on their investment. It is a shocking reality that some of the biggest names in banking have disappeared remarkably quickly (Merrill Lynch, Lehman Brothers, Royal Bank of Scotland, Bear Stearns, Fortis), while others have been brought to their knees. The suddenness, violence and severity of this crisis means that global capital markets are going to change in a profound manner over the next generation. The global financial architecture is going to be permanently altered as a result of the credit crunch, and the global governance model that is likely to be implemented is sure to shape capital markets for the next 20 years. Is the current mess due to excess government intervention in the economy, or is it due to insufficiently regulated markets that spiral out of control by market participants’ unscrupulous behaviour? Should this mess be fixed by greater government intervention in the economy, or will such interventionist urges only set the ground for a further market collapse in the future? Has financial globalisation been a force for good, prosperity and growth, or has it introduced excess volatility and uncertainty in markets? Sam’s thought-provoking paper highlighted how the overwhelming emphasis placed by the press, by disgraced chief executives and by regulators on revamping the so-called ‘global financial architecture’ and brainstorming on how the ‘system’ needs fixing reflects the very natural attitude to blame ‘exogenous events’ (i.e., those which are outside of our control) in order to detract from the necessary introspection that would reveal things inside of all of us, which we do not wish to acknowledge. His is a timely – if obvious – reminder that markets are not autonomous, mechanised forces, but rather composed of real human beings, actions and choices underlying each transaction. In other words, the human element must not only be considered, but should come to the fore: individual responsibility, or the lack thereof, aggregated over the entire marketplace, can either contribute to a stable, sound and efficient economic system, or destabilise, and, in extremis, permanently damage it. The fundamental premise is that there is an unquantifiable public good underlying every transaction: trust. Indeed, as Francis Fukuyama pointed out in an aptly titled book, in the absence of trust, the free market economy breaks down: fraud, deceit, and breach of commitments are fatal to free enterprise and trade. Correspondingly, Sam Gregg argues, virtuous patterns of behaviour, characterised by prudence, thrift, foresight and diligence, foster market growth and efficiency. In order to be provocative, since a discussant is meant to try to stir up debate, I query whether the smooth operation of markets requires so much an ethic which is derived from natural law (i.e., ‘virtuous behaviour’, acknowledging an objectively right or wrong way to act) as merely an amoral set of fundamental principles, or rules, by which all market participants play. The Judeo-Christian understanding of ‘virtue’ may serve as the set of rules by which market participants play in order to ensure its smooth operation, but, to my mind, Gregg’s argument is not sufficiently developed at this stage to counter the charge that it is by no means the only one. Some observers may counter that all markets need to operate efficiently is a set of rules safeguarded by institutions, which enforce them indiscriminately upon all actors engaging in the public exchange of goods, services and capital. It is not from the benevolence of the butcher, the brewer, and the baker, that we expect our dinner, but from their regard to their own interests. We address ourselves, not to their humanity, but to their self-love, and never talk to them of our own necessities, but of their advantages. This hardly suggests that the success of a free market economy rides on the love of virtue of its participants. Indeed, virtuous people presumably act virtuously because they believe that it ought to be pursued of its own right, as an end of itself, and not because it is merely in their self-interest to act in a certain manner. Adam Smith also argued that, in a free market, an individual pursuing his own self-interest tends to also promote the good of his community as a whole through a principle he called ‘the invisible hand’. He argued that each individual maximising revenue for himself maximises the total revenue of society as a whole. Maximising revenue is hardly an objective that can be associated with the virtue of prudence. While Sam’s thesis that markets will not operate efficiently if the actors who participate in them do not act morally is an interesting insight, his framework could be more complete – and indeed convincing – if he could also answer two key questions. The first is: Why do markets fail, even when economic agents are acting morally? The second is: What makes our particular financial crisis so special in terms of the relative immoral behaviour of market participants in this cycle? Is Sam trying to say that what has been generally described as a decline in morality across the western world has damaged financial markets in a way that was unfathomable in the past? To come back to the first question, Sam Gregg is right that more virtuous behaviour means that less regulation is necessary. Yet while some schools of economic thought will deny that markets, left to their own devices, can fail, the consensus view in contemporary economic thought is that there are particular circumstances when markets deliver inefficient outcomes, without any lack of prudence or generalised pattern of unethical behaviour. The circumstances in which market failures arise have been defined as those where market power (or situations where the market naturally tends to favour one or a few dominant players), information asymmetries (or situations where the seller knows more about the product than the buyer, or the borrower knows more about his probability of default than the lender), and externalities (or situations where the costs of an activity are borne by people who are not directly involved in that activity). the scope of the policy response must be proportional to the scope of the problem. Again, to be provocative, unlike Sam, I would posit that the current crisis arose because of an insufficient degree of regulation of entire swathes of capital markets, rather than excessive government intervention in the economy. I do not have time to give specific examples here, but I hope we can address them in the discussion to follow. To delve further into the second question, there have been financial markets booms and busts throughout the course of history. Notable examples of significant market dislocations include the Tulipmania event in the United Provinces of the Netherlands in the seventeenth century, the South Sea Bubble in the eighteenth, the gold rush in the nineteenth, and the internet bubble in the late twentieth, in addition to our own housing bubble. How do you explain these excesses of folly? What triggers them? How is there such a collective loss of prudence? How can we all be caught up in the market mania overnight? Is it really so that the pattern of individual and collective behaviour so quickly leaps from virtuous to vicious and back again? In the end, is it not the case that liquidity in the marketplace, defined as the ability of an actor with a selling interest to find a buyer quickly and without having to knock down his price too much, and for a buyer to be able to find relatively easily a seller who can commit to selling on terms agreeable to the buyer, is possible precisely because one man’s prudence is the other’s folly?